Sadly, it must come to an end. How did everyone do? Unfortunately, I had so much going on this weekend, I didn't even get to read or even go on Twitter. *frown* However, nothing compares to decorating the house for Christmas with my sons and my sister and her daughter are coming into town on Tuesday with my grand-nephew and niece so they will be delighted with the decorations. Win! If you do a wrap up, add your name to the linky and I'll stop by and see what you read. I hope you had fun and this little read-a-thon got you into the Christmas spirit. If you're looking for more of a challenge with your Christmas reading, why not join us for the Christmas Spirit Reading Challenge? The challenge lasts all the way through Twelfth Night (or Epiphany). 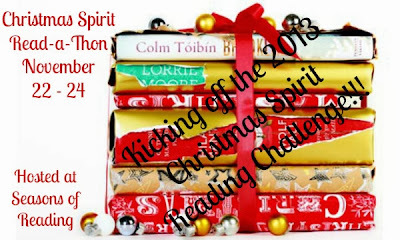 You can find out the details and sign up at my Christmas blog, The Christmas Spirit. Also, tomorrow begins my Sharing the Joy event at my Christmas blog. A season long event, I share recipes, crafts, guest posts, book reviews and other fun and interesting posts, like my Christmas Around the World feature. I'm kicking off tomorrow with a special giveaway so be sure to stop over at The Christmas Spirit! Thanks to all who joined me for the read-a-thon. I think I'm going to make this a yearly event. Really, how can I resist?! If you have any questions, contact me or leave a comment. 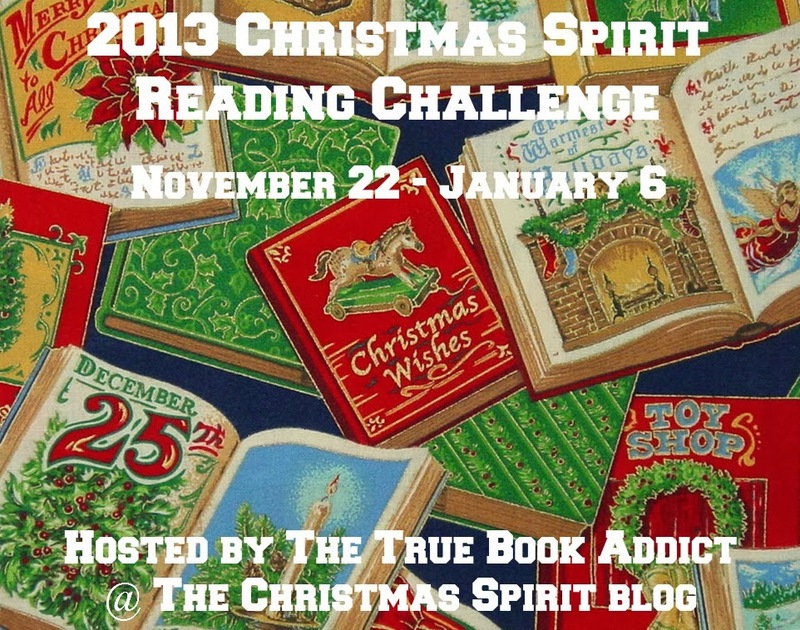 To kick off my annual Christmas Spirit Reading Challenge this year, I've decided to have a weekend read-a-thon! as usual, you do not have to have a blog to participate...feel free to link up and check in from Goodreads, Facebook, Twitter, etc. 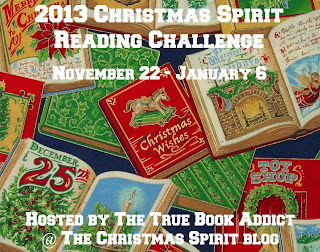 If you're interested in joining us for the Christmas Spirit Reading Challenge, which runs all season long, you can do so at my Christmas blog, The Christmas Spirit. Would love to have you! Hope I haven't forgotten anything. If you have any questions or notice something I've left out, please feel free to contact me via the contact form tab.